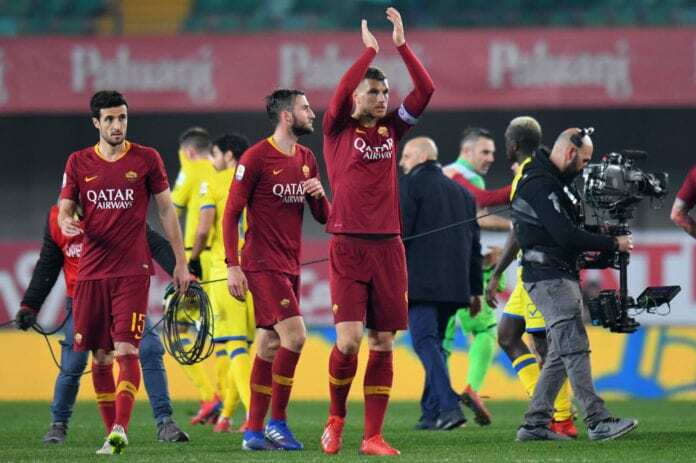 AS Roma forward Edin Dzeko urged the team to not dwell on what their rivals are doing following Friday night’s 3-0 win over Chievo Verona. After suffering a humiliating 7-1 defeat at Fiorentina in a Coppa Italia quarter-final clash at the end of last month, Roma returned to winning ways on Friday at Chievo to reclaim fourth-place in the Serie A.
Stephan El Shaarawy, Dzeko and Aleksandar Kolarov were the scorers in a 3-0 victory for Roma at the Marcantonio Bentegodi Stadium. But Dzeko was left somewhat frustrated with their first-half performance, despite taking an early two-goal lead. “It’s difficult for us to experience a calm evening,” Dzeko told Sky Sport Italia. “The first half certainly wasn’t relaxed, even after going 2-0 up. For some reason, we just stop playing. 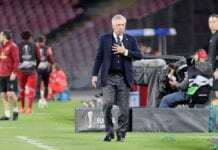 The former Manchester City star welcomed the badly-needed victory with only three points separating fourth-place Roma to Atalanta in seventh in the Serie A table. Dzeko added: “After such a bad performance in the Coppa, we showed against AC Milan that we can be a solid and united team. “Tonight we scored three goals, but it’s never easy to win in Serie A, especially away from home. Dzeko has now managed 10 goals and five assists in his 24 appearances for Roma across all competitions this season. Eusebio Di Francisco’s men will next be looking ahead to Tuesday’s trip to FC Porto for the first leg of their Champions League last-16 clash in Portugal. Last season, Roma had reached the semi-finals of the competition for the first time since 1984 and will hope to go one better this time around.